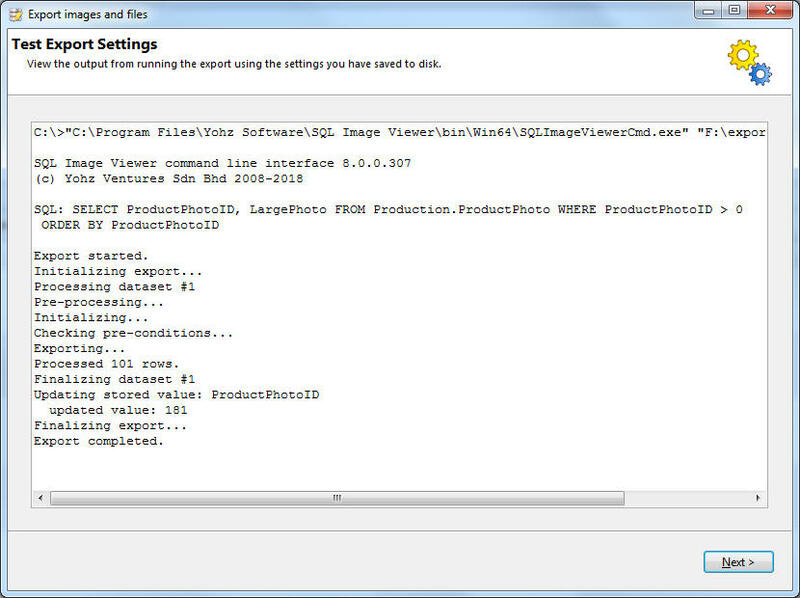 The SQL Image Viewer Professional Edition license includes a command line interface (SQLImageViewerCmd.exe) you can use to automate your export tasks. Please see this page on how to set up an automated export task using the Windows Task Scheduler. When you set up the export settings in the GUI, the same query will be ran each time, and most likely the same data set(s) will be returned. SQL Image Viewer supports dynamic queries, where the SQL statement can be modified at run time. Let's use the following query as a starting point. 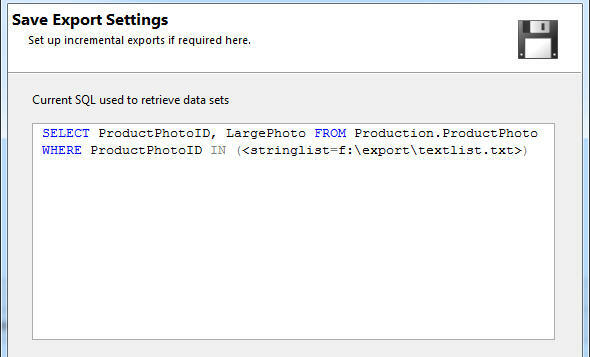 When SQL ImageViewer runs the export, the SQL query it will run will contain the values from the file i.e. SELECT ProductPhotoID, LargePhoto FROM Production.ProductPhoto WHERE ProductPhotoID IN (56, 75, 89) To use a list of text values, use the <stringlist> tag e.g. Note that each text value in the file need not be enclosed in single quotes. Option 3 - use self-incrementing values In situations where you have a column that auto-increments each time, and you only need to export new items, the SQL Image Viewer command line interface can maintain a file that contains the last processed value for you. That file can then be used as input to the SQL command. 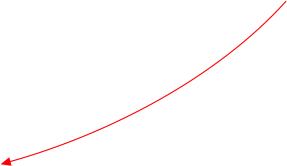 Assuming that ProductPhotoID is a self-incrementing value in our example. Say we only want to export new items each time the export runs. First, we need to modify the query to use the <integerlist> tag, to point to a file that will hold the last ProductPhotoID value. We also need to ensure that our data set is ordered, so that the last record holds the latest ProductPhotoID value. 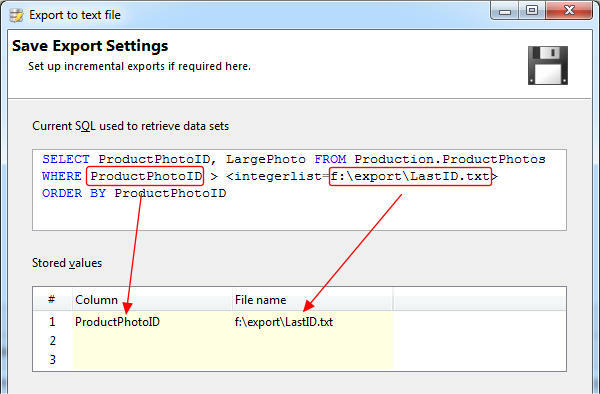 Next, we need to tell SQL Image Viewer that we want to store the last ProductPhotoID value in the f:\export\LastID.txt file. We do this by entering the values in the Stored values area. Once you have saved your settings, you can test it by clicking on the Test settings button. SQL Image Viewer will run an export using the command line interface and the settings you have saved, and display the output.